Home IT Contractor News Tier 2 Skilled Visas What is the Shortage Occupation List for Tier 2 Skilled Migrants? The Government uses the United Kingdom Shortage Occupation List to decide who can get Tier 2 Visas to come and work in the UK. There is a separate Shortage Occupation List for Scotland. The Shortage Occupation List is “a list of available jobs that the local labour market fails to fill. These are the positions that are open across industries in the entire United Kingdom. These roles are available to all foreign nationals, regardless if they’re from a European Union (EU)-member country or not”. The Migration Advisory Committee (MAP) decide which jobs go on it. They update it annually. If a company has a vacancy which it cannot fill in he UK then it can hire someone from anywhere in the world to fill that vacancy. That’s provided the skill is in on the UK Shortage Occupation List. There are currently more than 30 jobs on it. Any migrant worker from outside the EU can come and work in the UK – provided they have a salary of at least £159,000 a year. As you can imagine, this would exclude most skilled migrants. If they are not able to earn that salary then they would have to apply to get a Tier 2 visa. Also, the skills that a UK company seeks must be on the UK Shortage Occupation List. They issue 20,700 of these Tier 2 Visas every year. That is the current limit. Doctors, nurses, IT workers and engineers are the main employment categories to get Tier 2 visas. However, because of a shortage of 30,000 nurses and 10,000 doctors in the NHS, these occupations are not now under restriction by that number. As they issued around 8,000 visas for those professions this means that more companies can apply for visas for non-EU workers through this route. The main ‘beneficiaries’ of the extra visas available will be in IT and engineering. 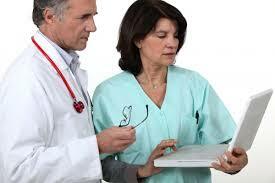 It will affect Locums and agency nurses. EU skilled workers leaving the UK after Brexit has exacerbated the problem. So employers are looking for skilled migrants from outside the EU to fill those vacancies. When companies hire migrant workers visas via the Shortage occupation list they must pay them a minimum salary of £30,000 a year. However, this depends on demand for visas. When the demand is greater than the supply of Tier 2 visas, then they select applicants for visas by how much they earn. The more you earn the more likely you are to get a visa. So, for some occupations this had gone up to a minimum of £55,000 if you wanted a visa. Until the past couple of years, the 20,700 limit was enough to let everyone in under the skilled migrants scheme. They din’t reach the limit. However, in March 2018, 59% of visa applications were turned down – even though all the applicants were eligible. This had a huge effect on the NHS with lots of both EU and non EU doctors and nurses going back home because of the climate after Brexit. This also affected other occupations. Between December 2017 and Match 2018, they refused 6,080 Tier 2 visas. It had a major effect on the IT profession. 20% of IT and technology jobs visa applications were turned down. The teaching profession was affected too. 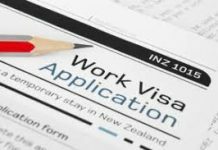 Employers must advertise a role first before applying to get a visa for a skilled migrant. With the Government having removed doctors and nurses from the skilled migration cap, companies in other industries, like IT, are lobbying for them to be taken off too. This would affect the number of opportunities available to IT Contractors. Companies would fill skills vacancies with skilled migrants rather than IT Contractors. It would also cut the rates of IT Contractors as the supply of IT workers is increasing with the demand for them staying the same. 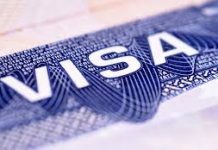 Demand for Tier 2 visas began to outstrip demand in December 2017. The salary needed to get a tier 2 visa rose from £30,000 a year to usually between £50,000 and £60,000 a year for those skills on the shortage occupation list. Almost a quarter of visa requests for doctors were turned down. That was when there was a huge shortage of doctors in the NHS. Other professions like pharmacists are affected too. With doctors and nurses being taken out from the cap, the only criterium that those who wish to hire them must face is the base £30,000 salary. As there would not be a doctor in he country who earns less than that, it effectively means that any doctor from anywhere in the world can come to the UK. That’s provided there is a job for them. But we know that there are plenty of those in the NHS. Now that doctors and nurses have been taken out from underneath the cap, that frees around 8,000 Tier 2 visas for other professions. The professions most like to ‘benefit’ are IT and engineering. Moreover, there is a large waiting list of IT migrant workers, previously refused, who will apply again. So, the cap is likely to be hit. Pressure will grow from companies who hire IT workers and engineers to take those skills out from underneath the cap too. Taking doctors and nurses out will also mean that the salary required for a visa to be issued will drop from around £55,000 a year to closer to the £30,000 mark. So, it will depend on the number of applicants for those visas.